Red River College Steinbach Campus closes out the 2017-18 Academic year with a well-earned CONGRATULATIONS to the 43 students who completed their college programs this year. We are equally excited for the 2018-19 Academic Year. If you are thinking of applying for upcoming programs – enrollments are coming in fast and furious with some programs nearing capacity. 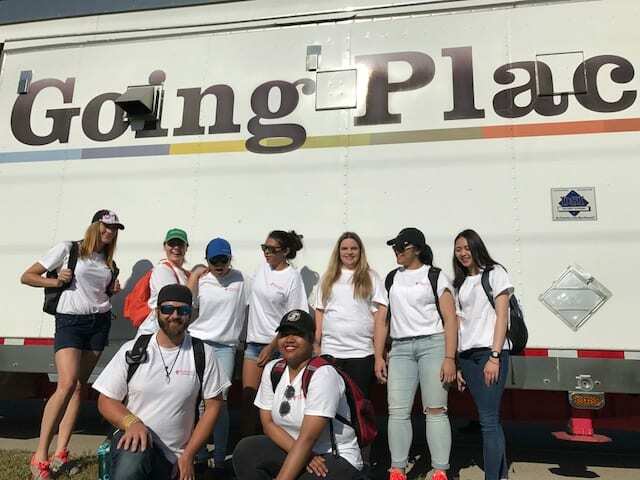 Don’t delay – you could be one of those students we celebrate in June of 2019! Did you know that the following programs are available at the Steinbach Campus this coming year? Have a great Summer! Looking forward to seeing you in Fall! 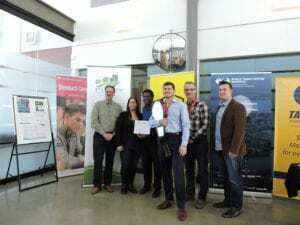 The Steinbach Campus is buzzing this weekend with new ideas. 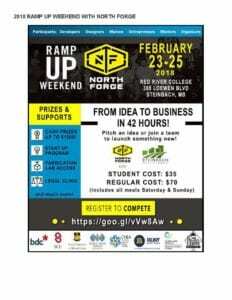 Ramp up weekend brought to you by North Forge and Steinbach Chamber of Commerce is well underway. 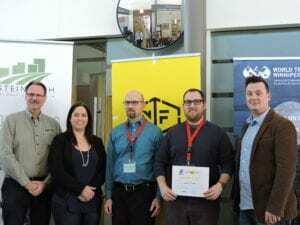 From idea to business in 42 hours! Wow! Sunday, February 25th, at 11:00 am. 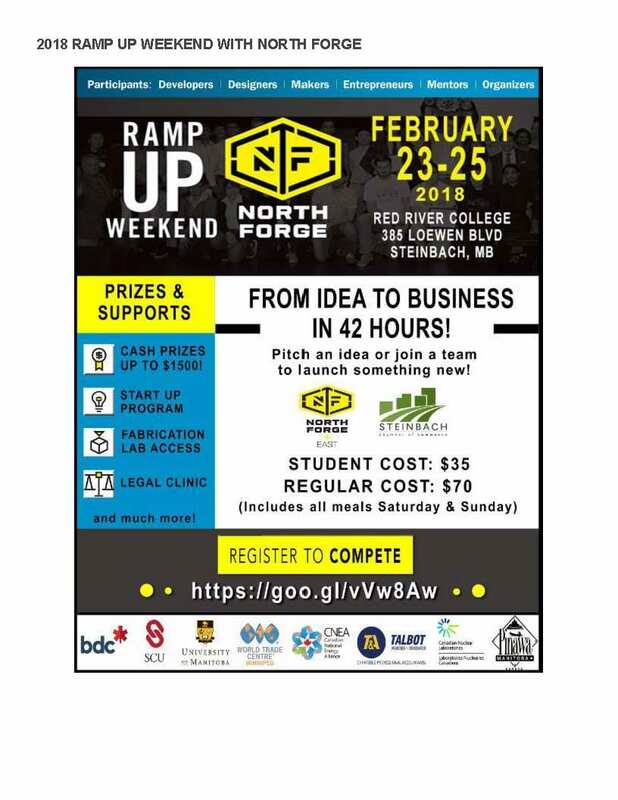 Steinbach Chamber of Commerce and North Forge East have partnered to offer a RAMP UP Weekend in Steinbach. 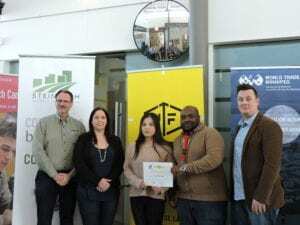 From idea to business in 42 Hours! Chase your vision – beginning with one jam-packed weekend of learning and growing. Thousands of dollars in cash and supports will be awarded for extraordinary feats of entrepreneurship. Pitch an Idea or join a team to launch something new. Wondering how the CPA designation can boost your career? Attend this information session to learn more about the accounting profession and the CPA Professional Education Program (CPA PEP). Questions will be addressed by a knowledgeable CPA program representative. Learn more about Chartered Professional Accountants Manitoba at go.CPAmb.ca. It’s not too late to register for Winter courses at Red River College Steinbach Campus. Or check out our Full-time Program line up for the 2018-19. 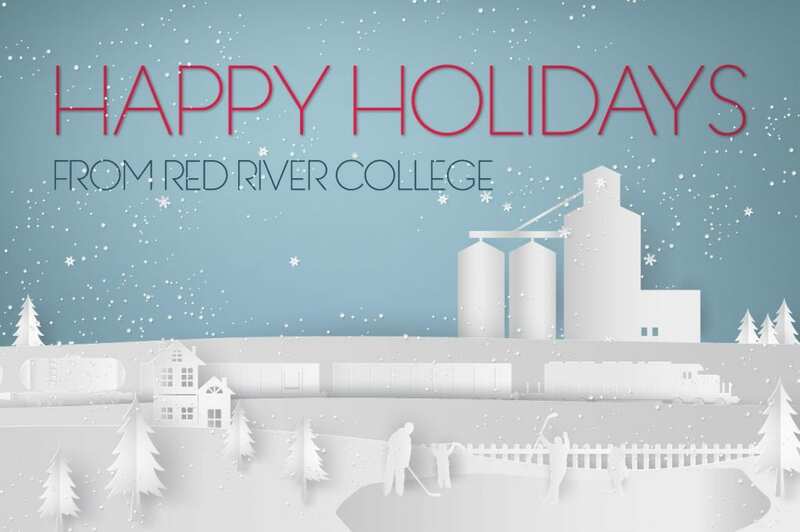 Happy Holidays from RRC’s Steinbach Campus! 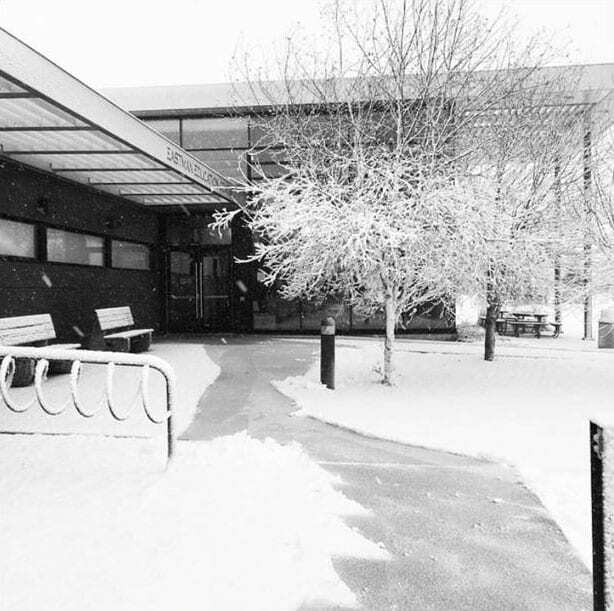 We wish you all the best of the season – see you in the New Year! * Not all classes return Tuesday, January 2, 2018. Students should check their schedules for their specific program return/start dates for winter term. 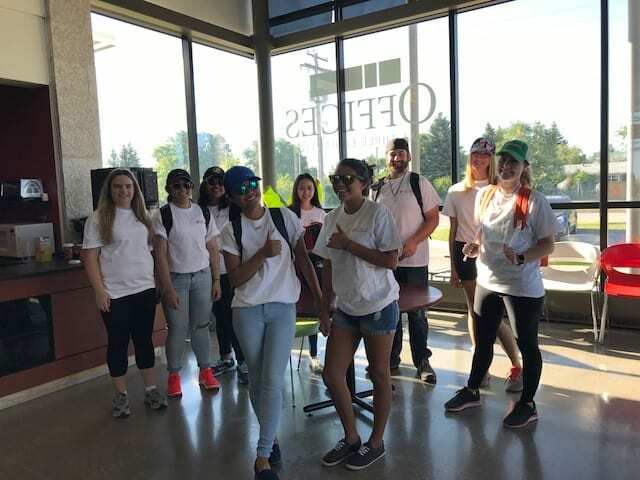 Beautiful weather, 4,000 pieces of candy and 9 happy Health Care Aide students 4 staff in the very flattering safety vests and off we go to meet up with RRC trades trailer for the beginning of a 6km walk for the Pioneer Day Parade. This was RRC Steinbach’s second time in the parade it was the 49th year of this event. Well worth coming out, if you haven’t seen the Pioneer Parade your are missing out. 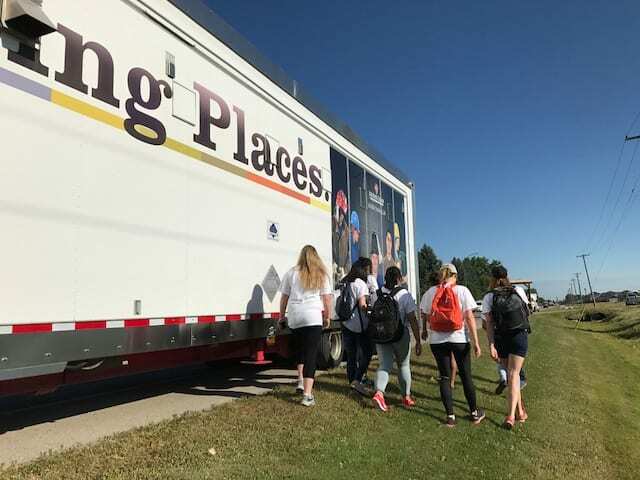 RRC Steinbach was pleased to be bringing the Trades Trailer for the parade as a sneak peek of what is coming soon. In 2018 Steinbach will be the site for the Introduction to Trades program, if you are interested give us a call. One parent as we were walking the parade route could be heard speaking to what looked to a be 4 year old “see this is where you will go (RRC) if you what to go into a trade”. That’s right folks start them young. 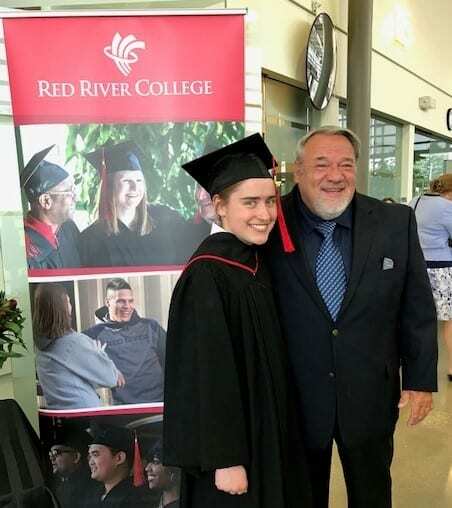 Thursday, June 22, 2017 Red River College Steinbach Campus proudly celebrated the completion of the 2016-17 Academic year with 46 of the total of 74 students who had successfully completed either a college diploma, certificate, or their Manitoba High School Diploma. 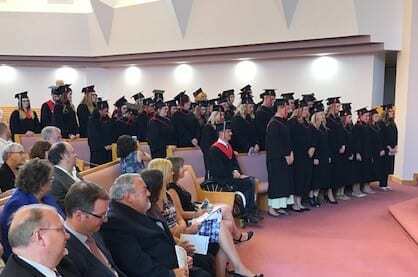 Convocation is an exciting time for students and staff as our graduates cross the stage to accept their parchments from College President, Paul Vogt. 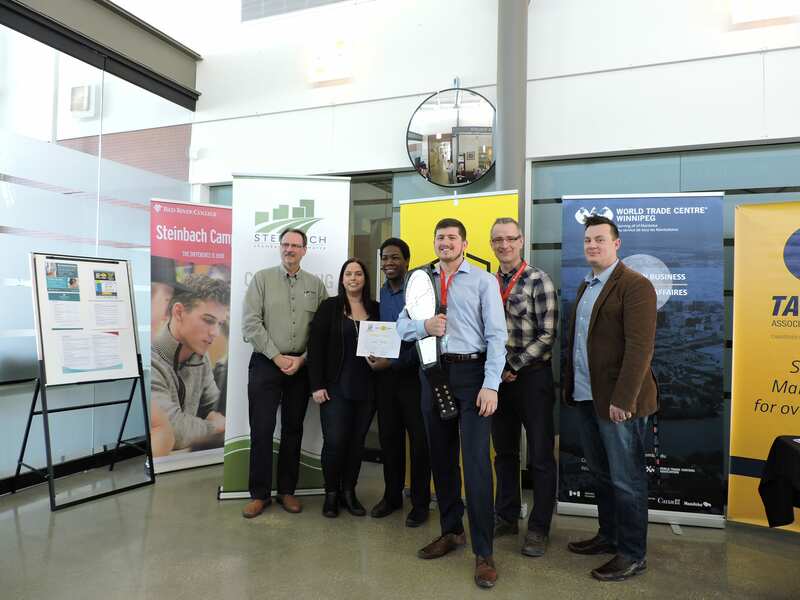 The Steinbach Campus and its students are fortunate to have the support from many community partners. The businesses, day cares, community organizations and government departments provide support in many forms. One such example is when individuals and organizations invest in students through awards and bursaries. At convocation this year a number of awards were presented to students. The Marc & Doreene Desrosiers Academic Excellence and Community Service award was given to Jessie Doerksen & Maria Pauls. Maria was also the recipient of the C.P Loewen Family Foundation Bursary along with Sydney Rempel. The V.S Solutions Inc. Award Administrative Assistant Certificate – Steinbach Campus was given to Dixie Giesbrecht. The day ended with instructors, family, and friends wishing a fond farewell to the Steinbach Campus. Keep in touch RRC Alumni. Let us know where you are by emailing steinbach@rrc.ca. Students at RRC’s Steinbach Campus are in the final weeks and days of the 2017 academic year. As we close the door on 2017, we open the door to welcome returning and new students to the 2017-18 academic year. It is funny how so many people will say “Oh you’re in education, must be nice to have the summers off”. Nothing could be further from the truth. RRC’s Steinbach Campus is working with incoming students to ensure entrance requirements such as immunizations are completed and transcripts are received for programs starting as early as July 10, 2017. We will continue to be in a flurry of activity as existing students prepare for exams, graduation and future employment. All the while, new students make inquiries, applications, hand in transcripts and other application information for our programs which start late August, early October and January 2018. Our 2017-18 programs in Business, Administration, Human Resource Management and Early Childhood Education are filling quickly. Yes… if you are planning to join us for 2017-2018, NOW is the time to open the door to Red River College – Steinbach Campus. Red River College looks forward to welcoming you to another busy year.